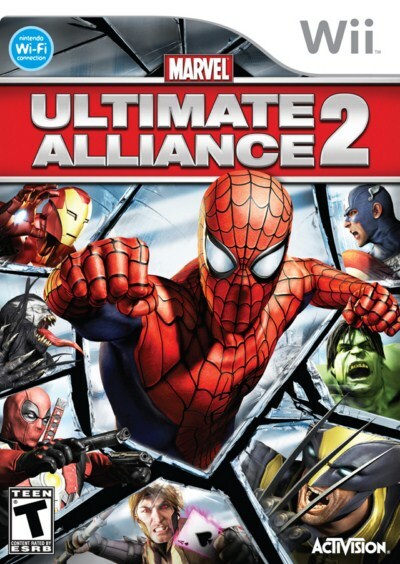 As with the original Marvel Ultimate Alliance, the new version of the game is an action RPG in which players create their own fighting team made up of four super heroes/villains. The makeup of teams can be changed as the player chooses, and characters can be leveled up as they gain experience and the game progresses. In addition, the separate powers of super heroes can be combined, or "fused," resulting in unique abilities that are devastating in combat. The game contains over 250 of these fused powers that only await the right combination in battle to be released. * Create and Customize Your Ultimate Team - Assemble your dream team from the Marvel universe and select from over 26 playable heroes and villains, each with specialized powers. * Cooperate with Your Ultimate Alliance - Take full advantage of the Marvel universe by playing Cooperative Mode with up to four friends, both online and off-line. * Choose a Side in MarvelA?A?A?s Civil War - Pick a side in the ultimate ideological rift that could yield irreparable consequences for the super hero community. You can choose to support the pro-registration side and defend national security, or throw your support behind the anti-registration cause and fight for personal liberties. * Fight Fear with Fusion - Combine super hero powers for devastating results. Team up with Human Torch and Thor to create a spectacular fiery tornado. Over 250 unique fusions powers unleashed through the Wii Remote arm you with an unimaginable arsenal for unprecedented battles. * Wield Superpower in Fully Destructible Environments - Demolish and interact with everything in your path. Pummel your enemies by launching crushed cars, lamp posts, machinery and anything else that you can pick up in your way.